We laugh up to 30 times more when we are in the company of others than when we are by ourselves. When they say that laughter is contagious, they were really right! A year-long study revealed that 71% of women laugh when a man tells a joke, but only 39% of men laugh when a woman tells a joke. 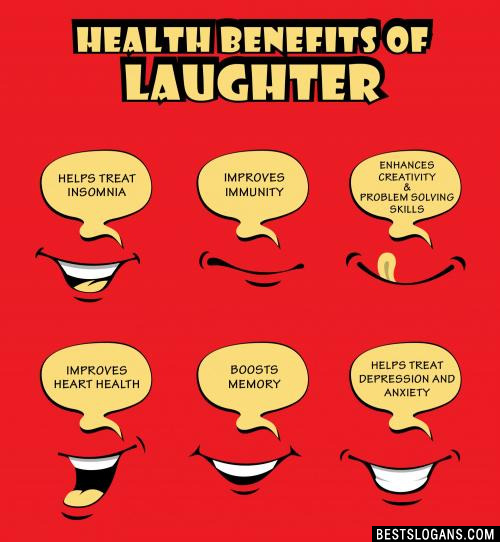 University studies show laughter lowers serum cortisol levels, increases T-cell production, lowers blood pressure and increases the number and activity of disease-fighting killer cells. 2 Sleep easy. We'll take this shift. 3 I'm just here for the commercials! Keep your filthy laws off my silky drawers! 6 Dontcha wish your daddy could hunt like me? 7 Hunt Daaaaay! C'mon you know what day it is! 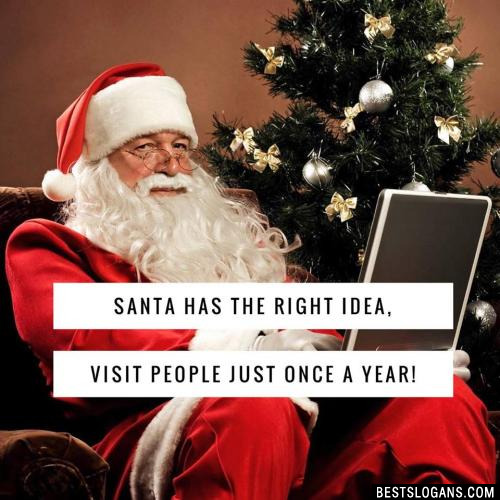 Santa has the right idea, Visit people just once a year! 9 Is it too late to be good? 10 I'm Rapmaster Barney and Im here to say, I love Fruity Pebbles in a major way! 11 He likes it! Hey Mikey! 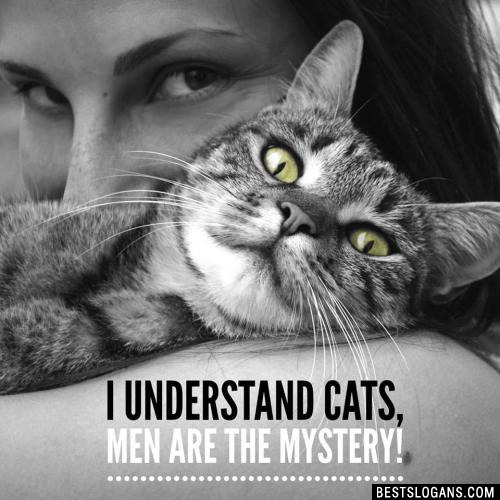 I understand cats, men are the mystery! 13 A cat is easier to train than a man! 14 A cat could be man's best friend, but never stoops that low! 15 We put the FUN in dysfunctional! 16 Sleep is a time machine to breakfast! 17 A meal without wine is called breakfast. 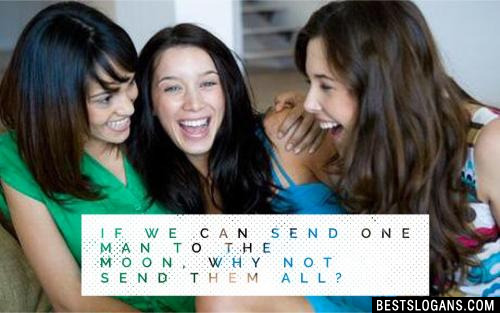 If we can send one man to the moon, why not send them all? 20 Beauty is in the eyes of the BEER holder. 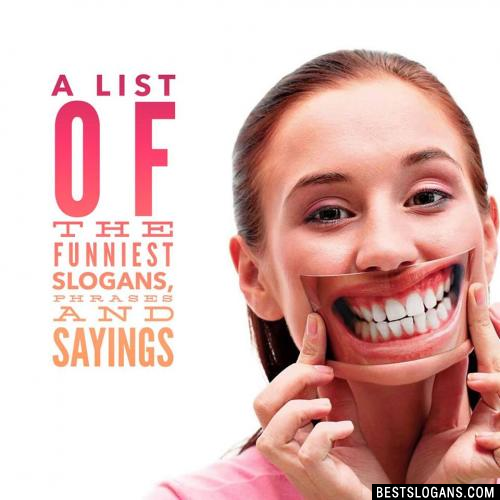 Can you think of a good Funny Slogans we're missing? Or come up with a clever one of your own. Please share below.